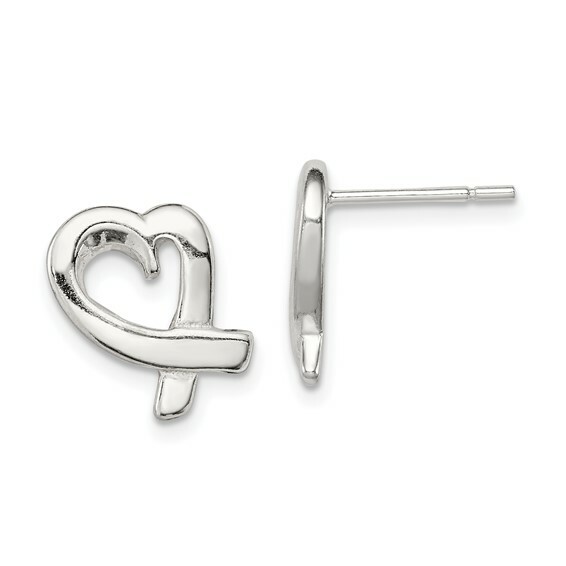 Sterling silver ribbon heart earrings. Each earring measures 1/2in x 3/8in. Posts. Flat back. Imported. Weight: 2.21 grams.